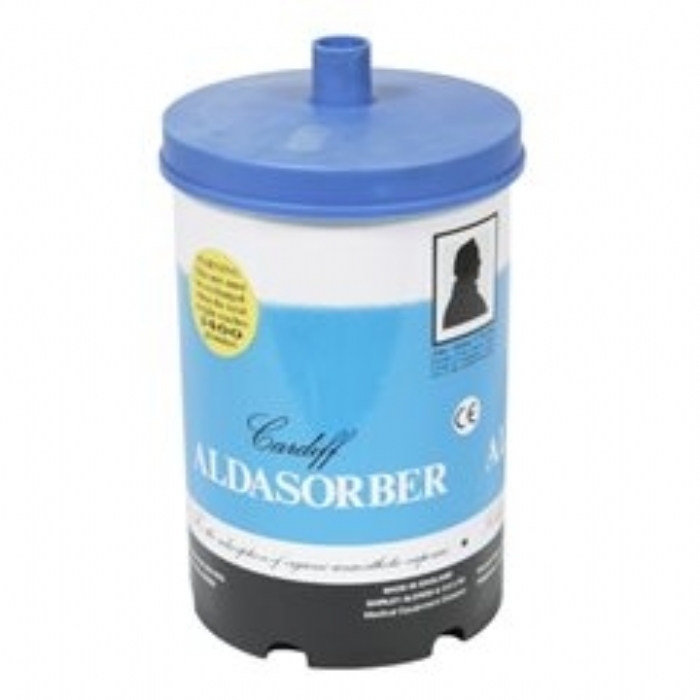 The Aldasorber Medical Filter is suitable for both Human and Animal Anaesthesia gas removal. A disposable canister, containing activated charcoal. The Aldasorber canister can be connected directly to the scavenging tubing from the patient circuit expiratory (scavenge) valve. The charcoal absorbs organic anaesthetic gases e.g. halothane and isoflurane. This method is not suitable for use with nitrous oxide because it is not absorbed by the charcoal. The weight of the canister must be monitored so that it can be replaced before it becomes saturated, once saturated any waste gases will simply be exhausted into the working environment. Exhausted once weight exceeds 1400g. Inlet connection 22MM male.